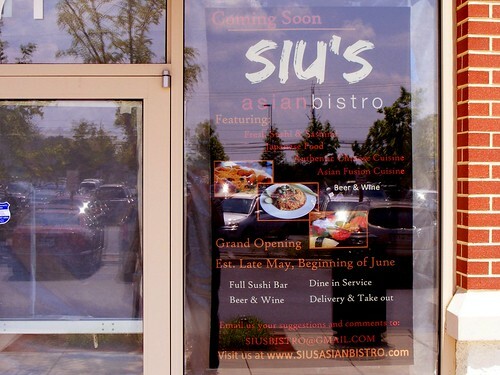 - East County gets a new "fusion" restaurant as Siu's Asian Bistro, set to open early next month. It'll be the first non-chain eatery at WesTech Village Corner, the shopping center on Tech Road where a Chick-Fil-A will also open in July. - Speaking of which: I just can't get enough of Whitney Teal, pro blogger and laptop-camper. On her blog The Washington Media Project, she takes apart Gazette want ads and the use of Foursquare in East County. - Richard Layman of Rebuilding Place in the Urban Space mentions Sk8ter Mom in a discussion of how to get things done in local government. - Reemberto Rodriguez shares a poem about Silver Spring he found in his office after being appointed director of the Regional Services Center. 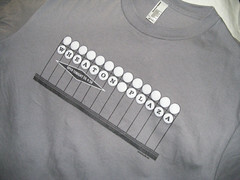 - Apparently, the guy who told police he was mugged, then pushed off a parking garage in Wheaton was faking it. Just tried that pad thai from Siu's last week and it was mighty tasty! Big portion too, so it turned into 2 hearty meals.